Dufour's Second Question: How Will We Know They are Learning? The above figure from the ELA/ELD Framework highlights the different types of assessments needed to determine if student's are learning. 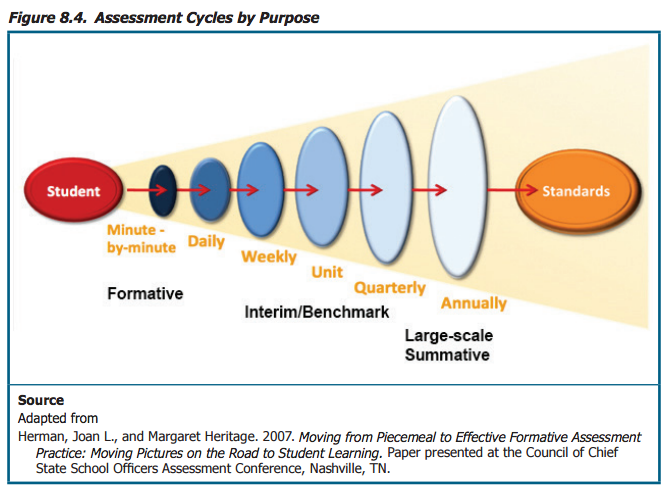 The closer the oval is to the student the more accurate our understanding of their learning. This illustrates the importance of constantly assessing for different understandings. Utilizing rubrics is a great way to determine how a student is progressing in collaborating or thinking critical. In NVUSD at the elementary level we created rubrics for each grade-level on what a proficient Collaborator and Critical Thinker might look like. Within my action research I explored how a ​​retell of a text can provide feedback to teachers on where students are with their language use and comprehension. This provides specific data as to where the student is with their language acquisition, ensuring that the teacher is able to provide sentence frames and support at their level. 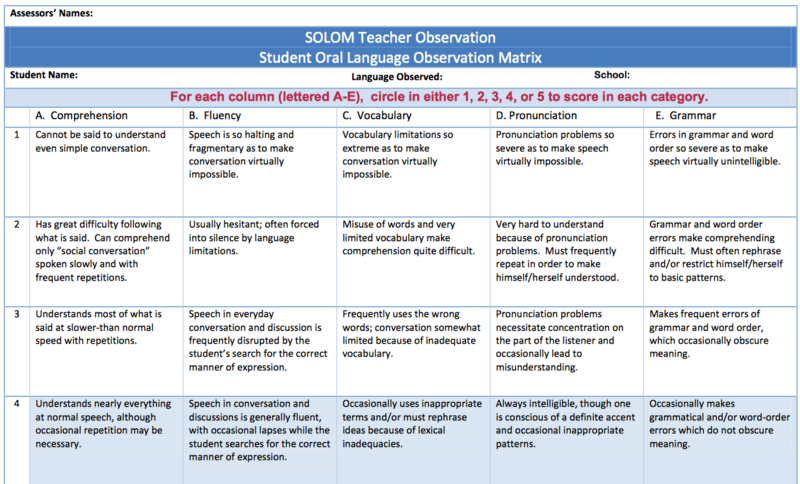 SOLOM provides a great resource to determine where ELLs or student's with limited English are with their oral language skills.